Mumbai, 20th September 2016: The British Racing Drivers' Club (BRDC) is considered to be the most exclusive club in motor racing and is home to the most successful drivers from Great Britain and the Commonwealth. 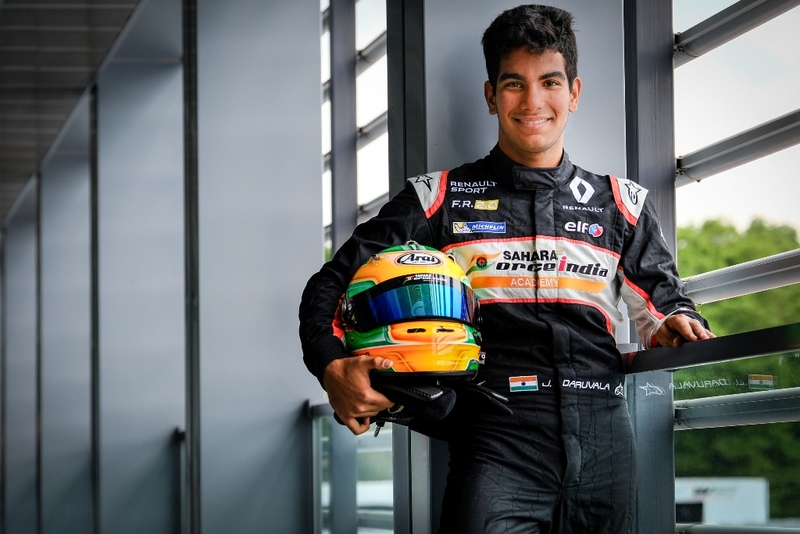 They have recently inducted the Indian Formula Renault driver Jehan Daruvala into their Rising Stars programme. The BRDC is extremely selective when it comes to it's members and has a total of only 850 till date. They have a proven track record of selecting only the best of individuals with Lewis Hamilton MBE and Alex Lloyd being the two particular success stories from the Rising Stars scheme's history. In addition to maintaining and operating the Silverstone circuit, the only circuit currently licensed to run a Grand Prix in Britain, the BRDC has for many years fostered young driving talent. Jehan says, "I am honoured & grateful to be a part of the BRDC Rising Stars. The club over the years has had numerous illustrious members & I am certainly proud to be a part of this. I am thankful to everyone who have been a part of my journey so far"
Jehan is now one of the very few Indian drivers to be invited to join such a prestigious club. This is a massive step in the 17-year old Mumbai lad's career.